Alain Raifort’s ear and the musician’s ear are not the same. The first listens to the sounds whereas the second assembles them to make music. More than complementary, they are inseparable. Alain Raifort realized a sharp instrument in the design, specify, in a classical style, with beautiful wood giving an excellent presentation. The exterior and interior high quality work, mastery of curves, finishing varnish indicate a safe and obvious talent. Inlay around the sound opening, composed of diamond mosaic, juxtaposed and surrounded by half-chevrons, is perfectly executed. 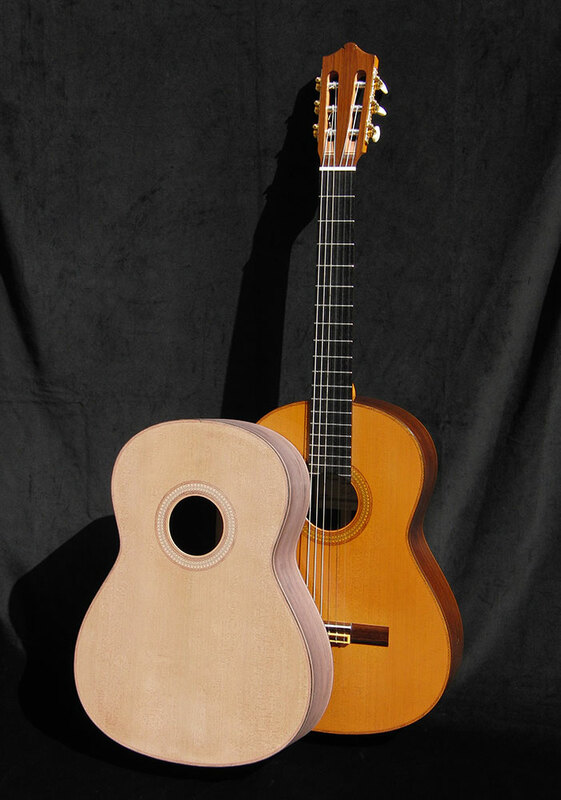 When I make one of my guitars, I always keep certain elements in mind : clarity, balance, richness of timbre and dynamics.